Photographer Edward J. Chevalier specializes in artistic, portrait, and small event photography. His artistic photography focuses in on cityscape and nature subjects with special emphasis on form and texture. As a location portrait photographer, he focuses in on the client to make the portrait a unique and personal reflection of their true inner beauty and character. Areas of focus for portraiture are maternity, family, couple, boudoir, and model. He is also a small event photographer. By focusing in on the smaller venues, he helps the bride, retiree, special guest, etc. bring out the most important facets of the event. By using the photojournalistic style, he follows the flow of the event thus capturing the event as a whole. He started in photography using a Nikkormat FT (made in 1965) that was given to him by his grandfather. He has not strayed far from his roots; today he uses all Nikon equipment." His photography has been published in the Lebanon Herald, on Kodak’s “Kodak Times Square Gallery”, and on various websites. He has received first place awards in several photo contests for his black-and-white photography and nature photography." Edward currently works in San Antonio, Texas. However, as a member of the United States Air Force he has had the opportunity to photograph locations in Europe (Scotland, England, France, Belgium, Spain, Germany, Switzerland, Italy, Austria, and Poland) and the United States (Washington D.C., Texas, Oklahoma, Illinois, New Mexico, California, Mississippi, Louisiana, Nevada, Florida, and Alabama)." He was born in San Antonio, Texas, in 1969. 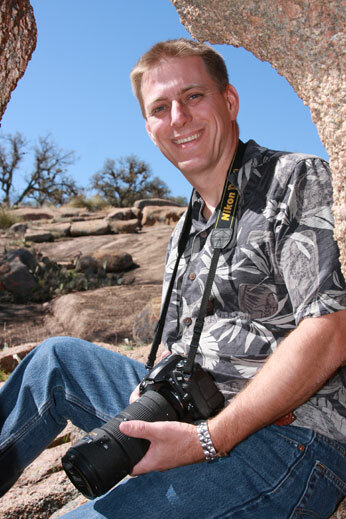 He learned photography from his grandfather and received a bachelor's degree from Southwest Texas State University (now Texas State University) in San Marcos, Texas, in 1991, and a Masters of Business Administration from William Carey College in Hattiesburg, Mississippi, in 1995. Edward lives in Selma, Texas, with his wife, Adrienne and three wonderful children.